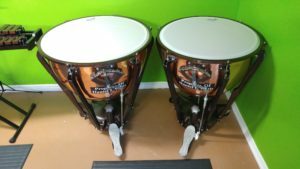 I haven’t really talked much about the used pair of timpani I recently purchased (I can talk about it here because no one will read it anyway), and I don’t want to go into much detail about how I went about it. I purchased the timpani using a bundle I made off the stock market, but I am hoping over time that I play enough gigs to make of the difference… although I know that will take a while. I purchased the timpani from Wichita. The only ‘extra’ I asked for was to replace the standard rim mounted gauges with pedal mounted gauges. In the last gig I played in, I made due with a 32 and 26 inch timpani with rim gauges. Although, I normally would have had to use older fiberglass timpani with no gauges. As much as I appreciate the ability to tune by ear (something I am fairly good at, being a former singer), in a multi-percussion situation, you sometimes need to change notes in between phrases while also playing another instrument. Good gauges make a huge difference. In a pinch, I could have built my own pedal gauges. So here are my new-to-me timpani. 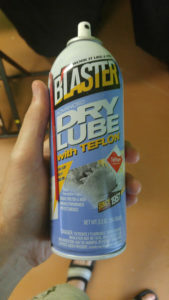 It was not without problems at first though. 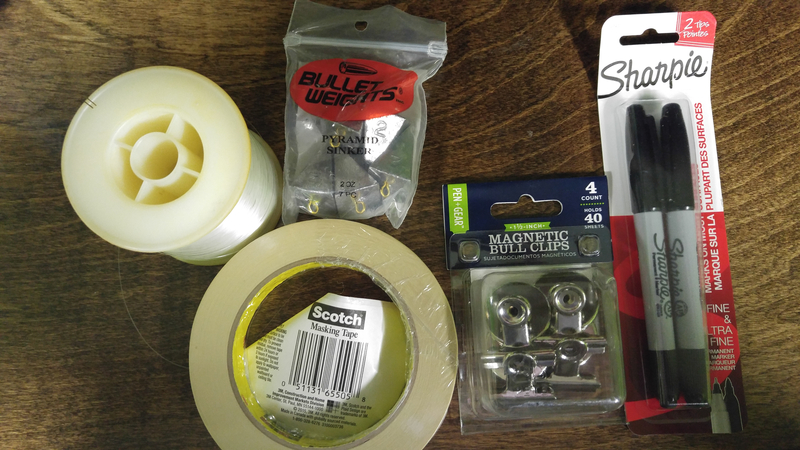 The first challenge was getting the damn things out of the boxes! They came on a Saia big rig, which had a fun time backing out of my street. They came on a pallet in large boxes, one on top of the other. 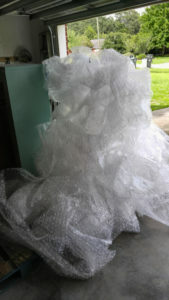 Getting the one on top down by myself was fun… when I opened the boxes, they were full of bubble wrap. Second problem I noticed was that one of the four wheels would not snap in and stay put, which is actually a common problem. 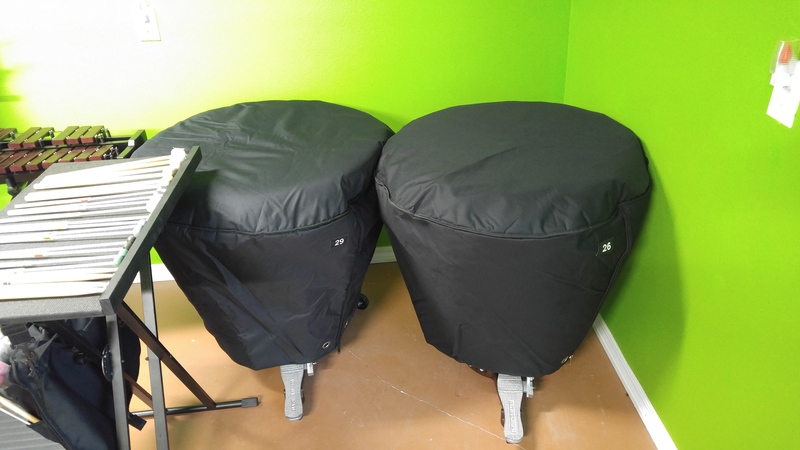 In fact, I don’t believe I have ever played a timpani set that did NOT have at least one wheel that would stay put. It is very frustrating, and I’ve seen it lead to damage when it unexpectedly falls out. It actually did not take me very long to figure out how to correct the problem; I just never tried before. I guess this means I’ll try to fix one wheel on the Christ Episcopal Church timpani the Pensacola Bay Concert Band borrows that has the same exact problem. The third problem was a little more involved. You can hear it here. Fortunately, I knew what this problem was. The store shipped each timpano with it’s head on but not tuned or stretched. This noise is the sound of the rim edge rubbing against the drum head. 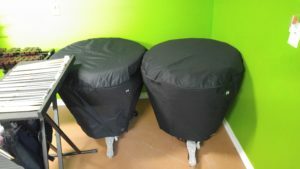 I took the heads off the drums and set them aside, and sprayed the edges with teflon spray, and I recommended that the store do this in their future used timpani sales. After this, I was able to put the heads back on and tune them properly. They sound great. In the future, I would like to add third wheels and change the heads out with Evans Strata heads. I might end up using these drums in my next gig, but I don’t have the music yet. ← Previous Previous post: Brakes Drums? Sure, Okay.